Page: 1 of 1. Showing records: 1 - 29. 1. 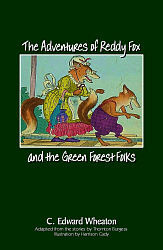 Adventures of Reddy Fox and the Green Forest Folks, The by C. Edward Wheaton NEW! Time: Approximately 45-60 minutes, 48 pgs. 2. 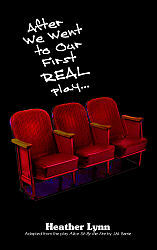 After We Went to Our First REAL Play by Heather Lynn NEW! 3. 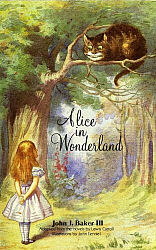 Alice in Wonderland by John I. Baker III NEW! Time: Approximately 120 mins, 104 pgs. 4. 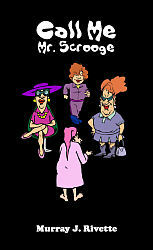 Call Me Mr. Scrooge by Murray J. Rivette NEW! 5. 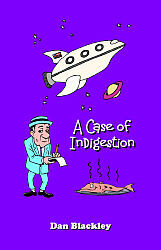 Case of Indigestion, A by Dan Blackley NEW! 6. 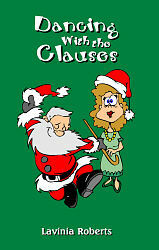 Dancing with the Clauses by Lavinia Roberts NEW! Time: Approximately 40-60 minutes. Note: The length of the show is flexible depending on the number and length of dance numbers, 24 pgs. 7. 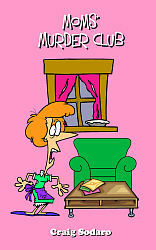 Deadline Dilemma by Carol Costa NEW! 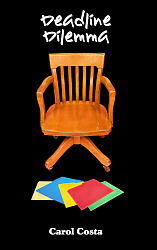 Time: Approximately 45-60 minutes depending on the time set aside for audience participation, which can be optional. 8. Doggone It! 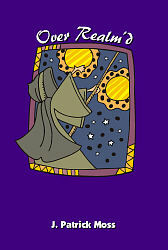 A Story of a Boy and His Dog by Dan Blackley NEW! Time: Approximately 15 minutes, 12 pgs. 9. Half an Hour by Heather Lynn NEW! Time: Approximately 20-30 minutes, 22 pgs. 10. 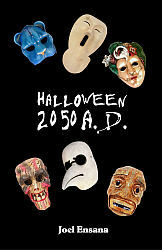 Halloween 2050 A.D. by Joel Ensana NEW! 11. 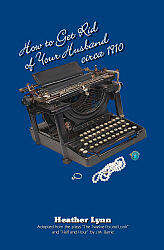 How to Get Rid of Your Husband, Circa 1910 by Heather Lynn NEW! Time: Approximately 45-60 mins, 43 pgs. 12. 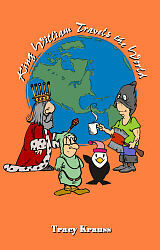 King William Travels the World by Tracy Krauss NEW! 13. 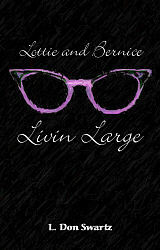 Lottie and Bernice, Livin' Large by L. Don Swartz NEW! Time: Approximately 90-120 mins, 87 pgs. 14. 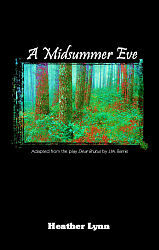 Midsummer Eve, A by Heather Lynn NEW! 15. Moms' Murder Club by Craig Sodaro NEW! 16. 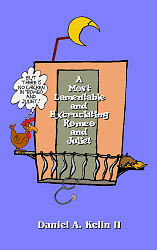 Most Lamentable and Excruciating Romeo and Juliet, A by Daniel A. Kelin II NEW! 17. 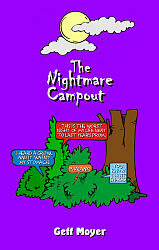 Nightmare Campout, The by Geff Moyer NEW! 18. 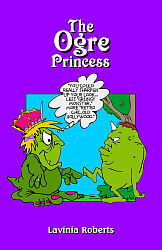 Ogre Princess, The by Lavinia Roberts NEW! 19. Over Realm'd by J. Patrick Moss NEW! 20. Prom Directive, The by Dan Blackley NEW! Time: Approximately 15-20 minutes, 13 pgs. 21. 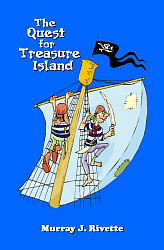 Quest for Treasure Island, The by Murray J. Rivette NEW! Time: Approximately 45-60 mins, 51 pgs. 22. 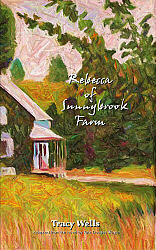 Rebecca of Sunnybrook Farm by Tracy Wells NEW! 23. 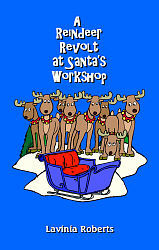 Reindeer Revolt at Santa's Workshop, A by Lavinia Roberts NEW! Time: Approximately 45-60 minutes, 37 pgs. 24. 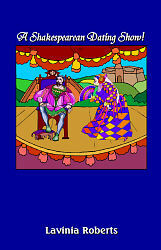 Shakespearean Dating Show, A by Lavinia Roberts NEW! Time: Approximately 30 minutes, 31 pgs. 25. 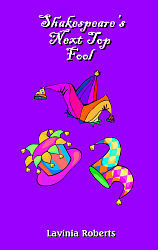 Shakespeare's Next Top Fool by Lavinia Roberts NEW! Time: Approximately 30-45 minutes, 38 pgs. 26. 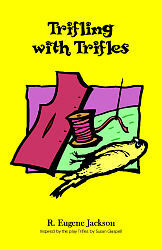 Trifling with Trifles by R. Eugene Jackson NEW! Time: Approximately 30 mins, 31 pgs. 27. Twelve Pound Look, The by Heather Lynn NEW! 28. 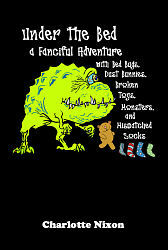 Under the Bed: A Fanciful Adventure with Bed Bugs, Dust Bunnies, Broken Toys, Monsters, and Mismatched Socks by Charlotte Nixon NEW! Time: Approximately 75-90 minutes, 73 pgs. 29. 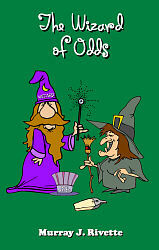 Wizard of Odds, The by Murray J. Rivette NEW! Time: Approximately 45-60 mins, 54 pgs.